Glamping, or Glamorous Camping is fast becoming one of the most intriguing genres of alternative tourism as more and more holidaymakers choose alternative domestic options over travelling abroad. Having that in mind, Dunster House Ltd, the UK’s leading garden and outdoor lifestyle product manufacturer, has designed timber built Glamping Pods and created a range of products which combine the fun of camping with the comfort of a hotel. 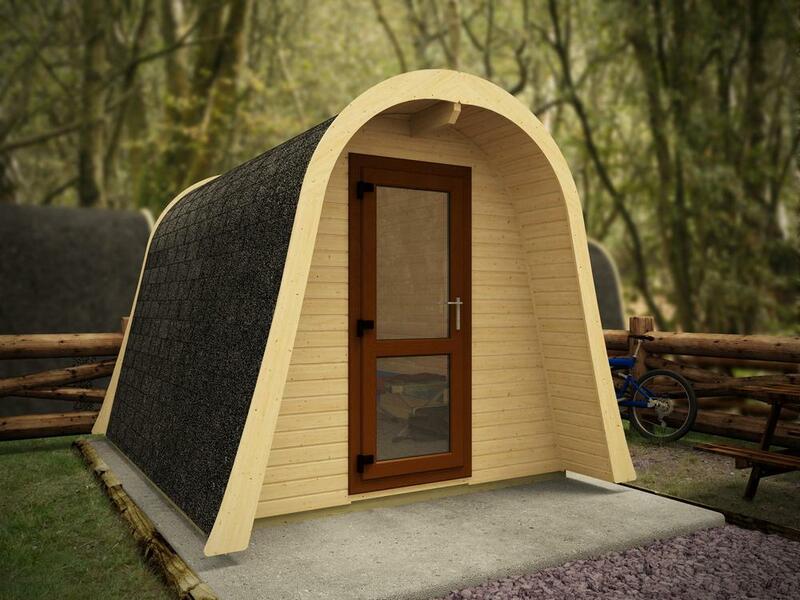 Company Director Chris Murphy said: “Our pods provide land owners with all-year-round living accommodation as they can be located on camp sites, farms, woodlands or in a garden. They present a luxurious alternative for people, who wish to start a glamping business from scratch or boost their existing one”. Dunster House’s pods are fully insulated, low maintenance buildings with Polyurethane Panels to keep the heat in during winter and keep them cooler in the summer. They are provided with the company’s 12v DC off grid solar ventilation fan that creates a fresh and healthy indoor environment and are fitted with uPVC double glazed, lockable windows and doors for a greater sense of safety and security. 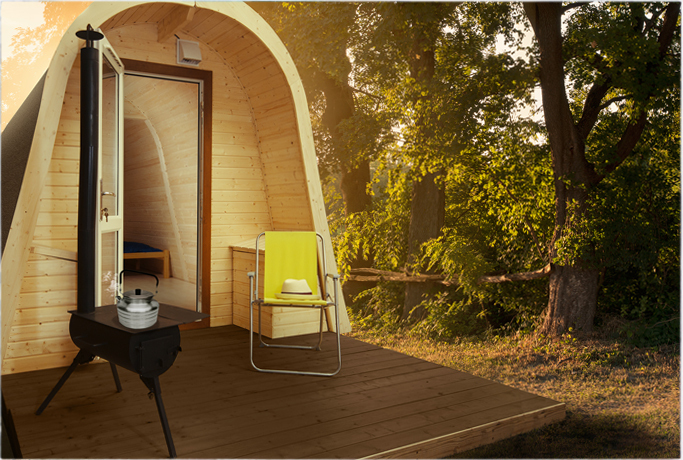 The main design is the Rasa Glamping Pod. Built from wood it provides an attractive, dry and spacious glamping area. It is available in two sizes and has a variety of optional extras available to furnish or provide an energy source. The company can fit the pod with a variety of unique wood burning cooking stoves and sanitation solutions (Eco-Composting Toilet) for off grid locations. The Rasa Glamping Pod complements the natural surroundings of the countryside, whilst being a less expensive alternative to brick buildings. It doesn’t have to be just for glamping though. 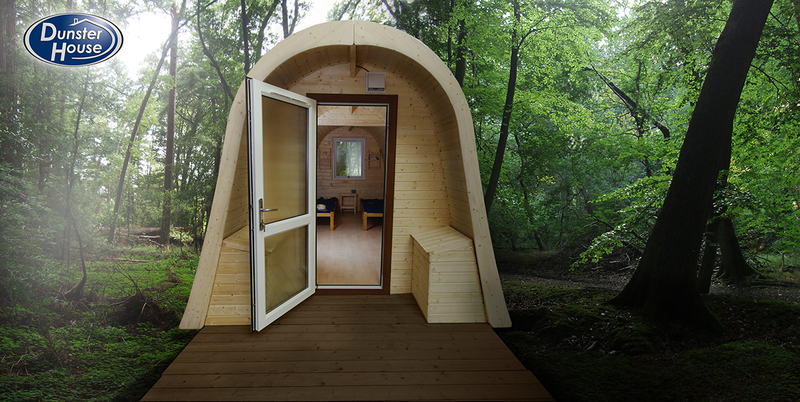 The pod can be also used as Garden Offices, a Man Cave or simply as a relaxation room at the bottom of the garden. Dunster House Ltd has trade opportunities available and is currently searching to develop partnerships in order to bring their traditional English designs and extensive range of pods across the UK and Europe.